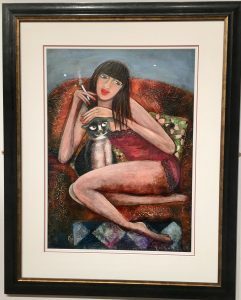 AppArt‘s reflections on Rosa Sepple’s solo exhibition. 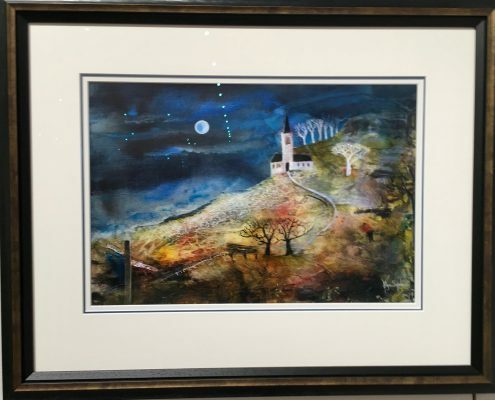 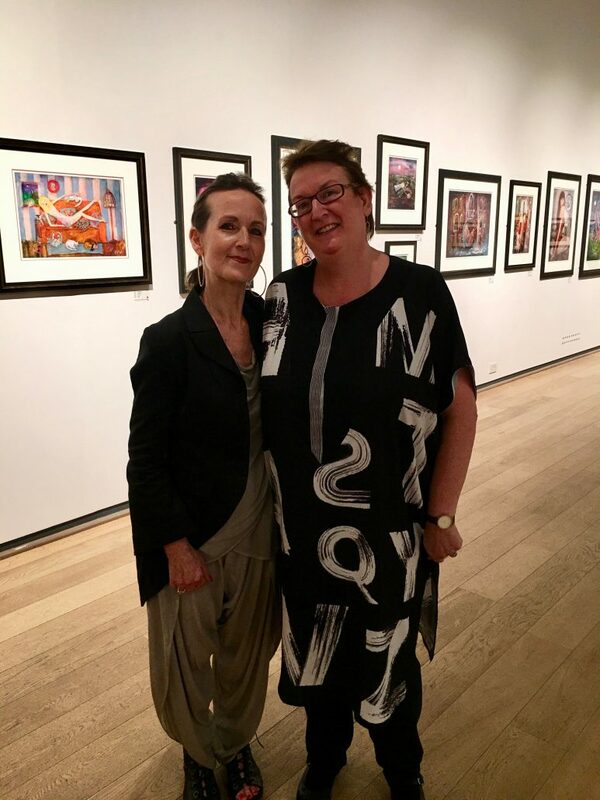 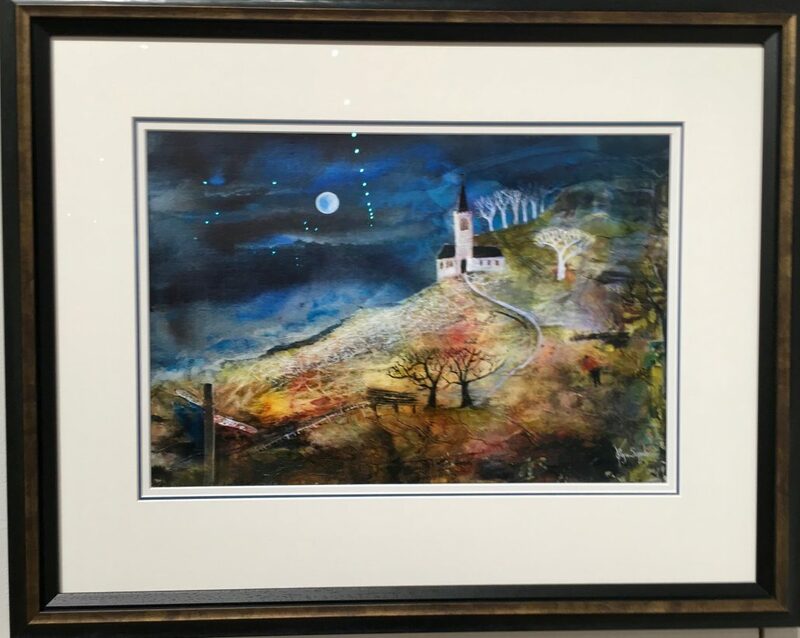 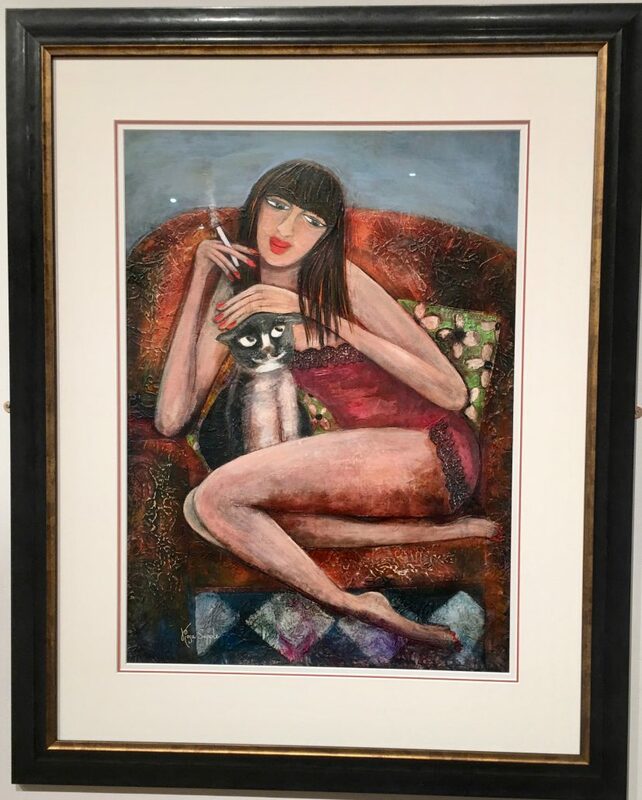 We went to Rosa Sepple’s solo exhibition “Reflections” at the Mall Galleries in late September. 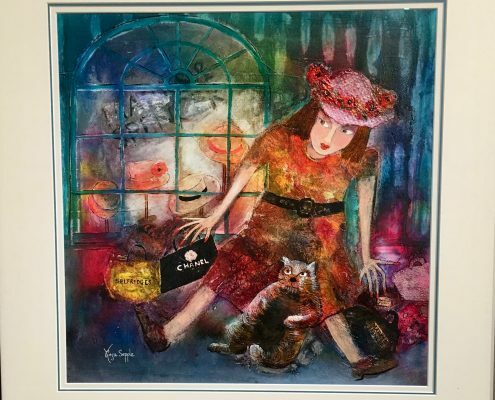 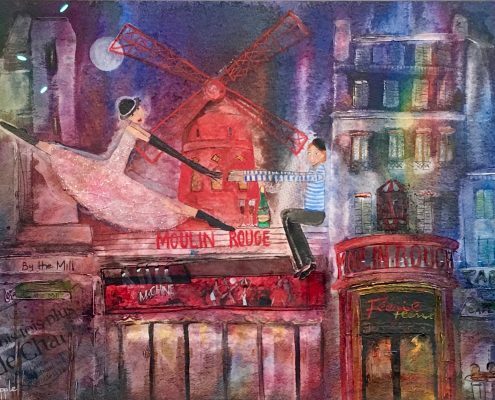 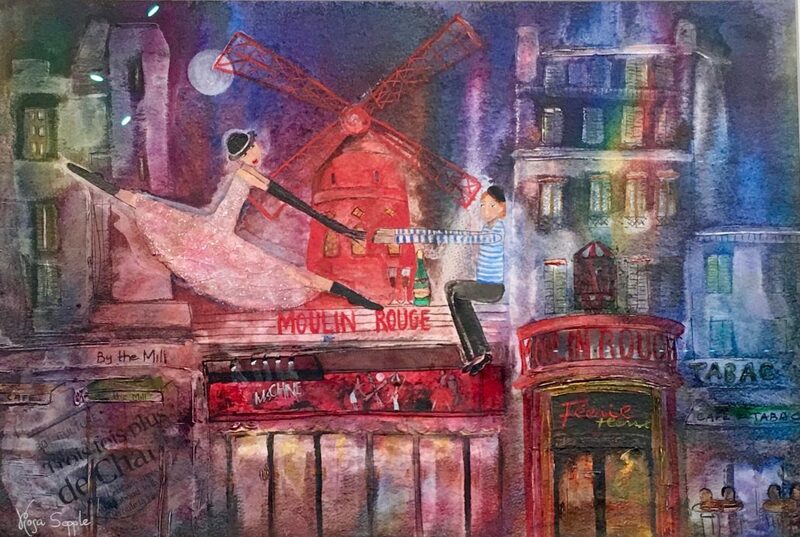 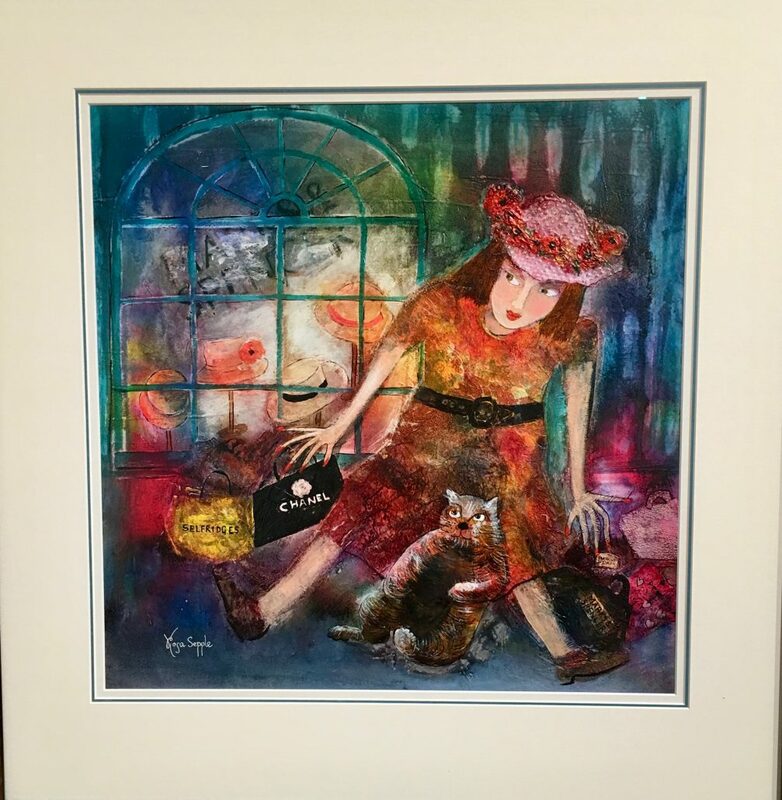 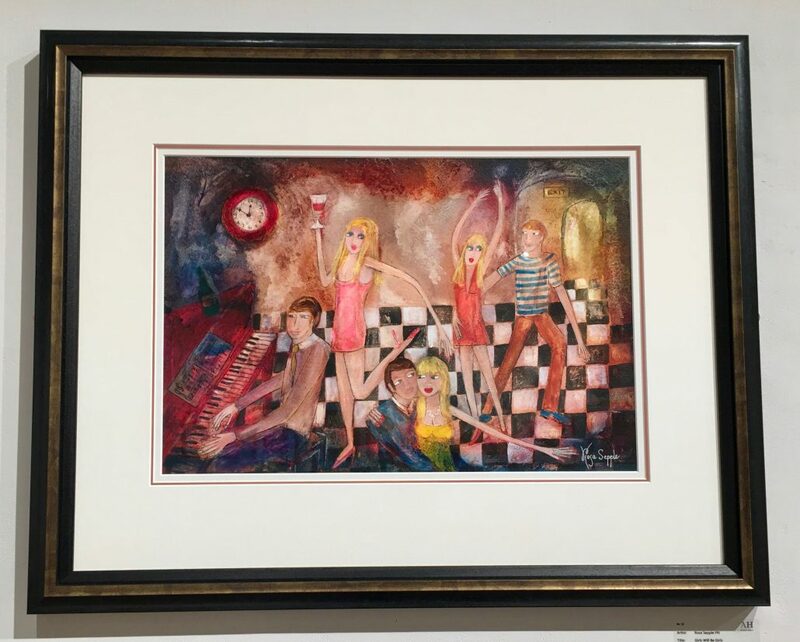 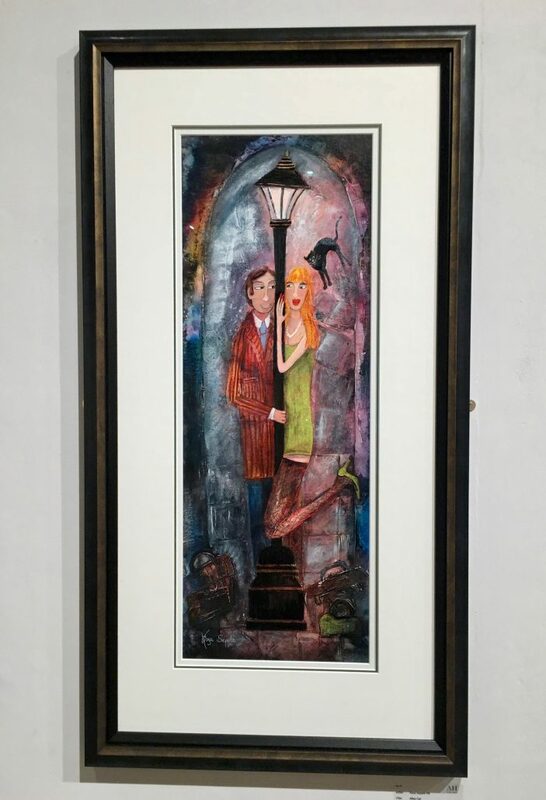 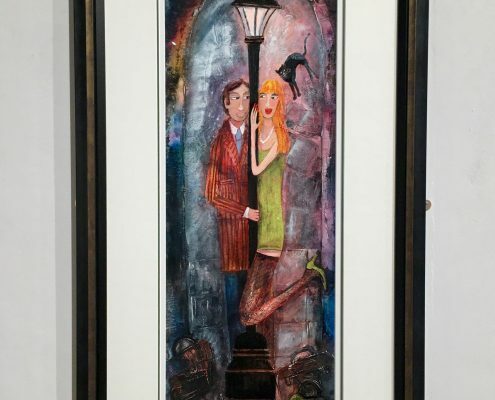 Rosa had created 65 new paintings with her normal cheeky take on life.There were her signature motifs of cats, young ladies and lively parties and this was proving hugely popular. 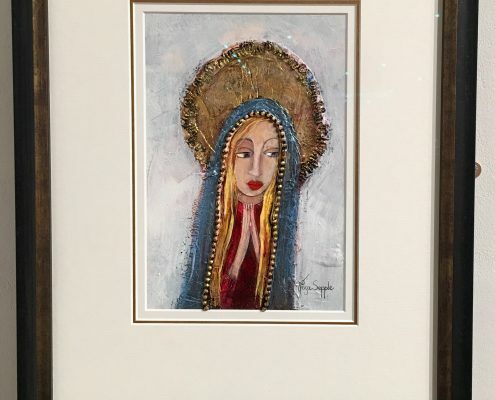 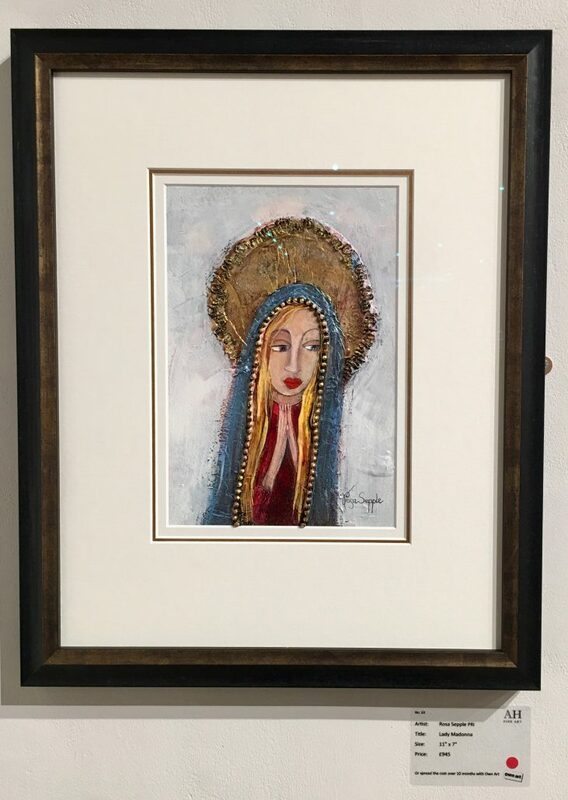 I also like her paintings with a religious theme and “Lady Madonna” is a good example of this. 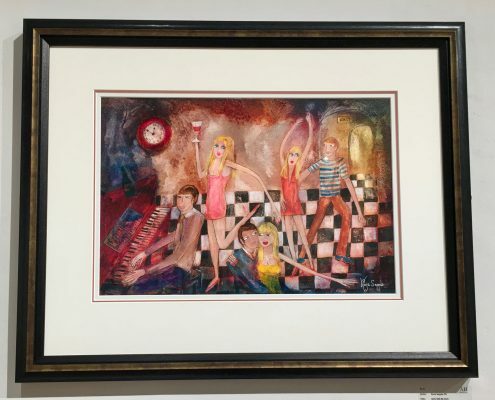 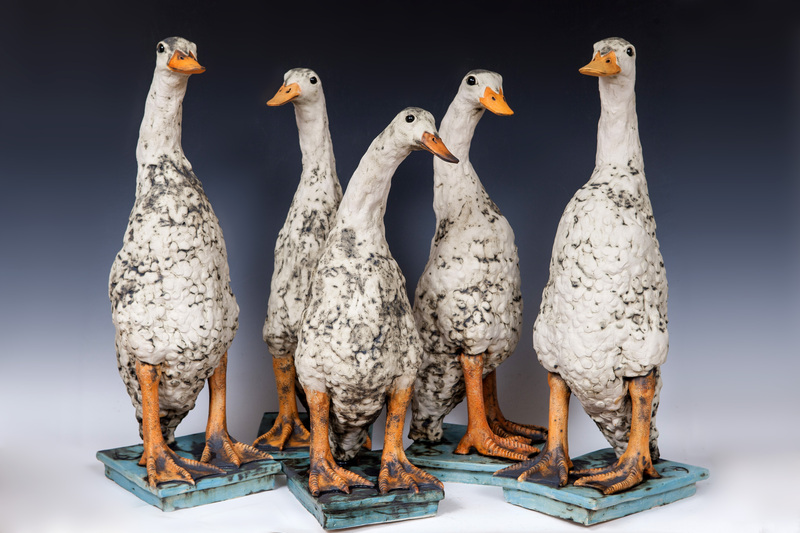 She now has a loyal group of collectors that bought most of her work before the show officially opened. 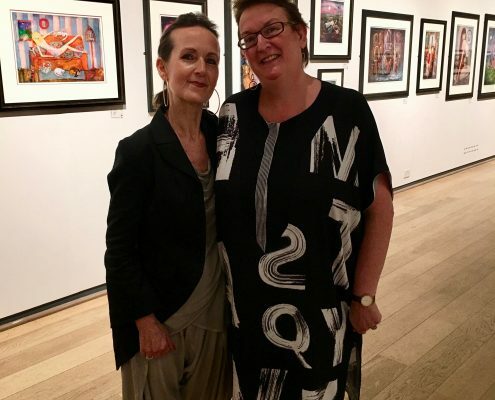 Rosa has a very busy time painting and being President of the RI (Royal Institute of Painters in Watercolours) but we hope that she will be represented at AppArt 2018.